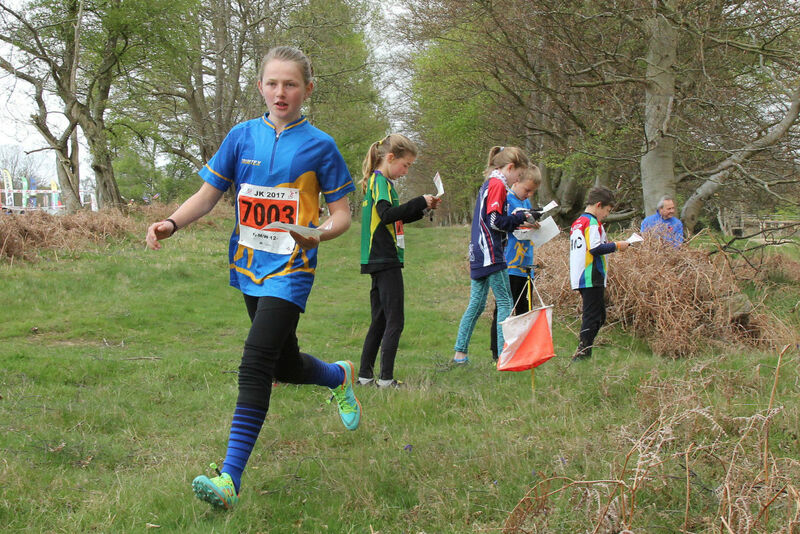 There are loads of exciting opportunities and a variety of competitions to take part in as a junior orienteer. You can represent your club, your region, even your country! 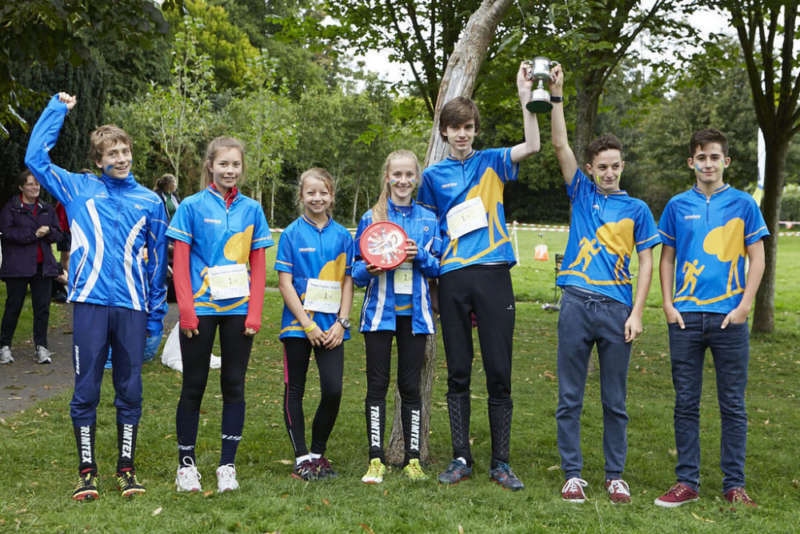 The two main annual competitions for the Southdowns Junior Squad are the Peter Palmer Relay (PPR) and the Yvette Baker Trophy (YBT). This is a national competition held in early autumn. Teams of 6-8 compete in a night/day relay with legs from Yellow to Green standard, the first two legs being run in the dark with a head torch! The squad stay away overnight which is a great way to get to know each other and meet up with junior orienteers from all over the country. In 2015 Southdowns won this prestigious competition. A national competition for the whole squad, with qualifying heats taking place in the spring and the final being held in the summer. Juniors of every ability can run on courses from Yellow to Green standard and every run counts, so this is a great time to get involved and compete for your club. 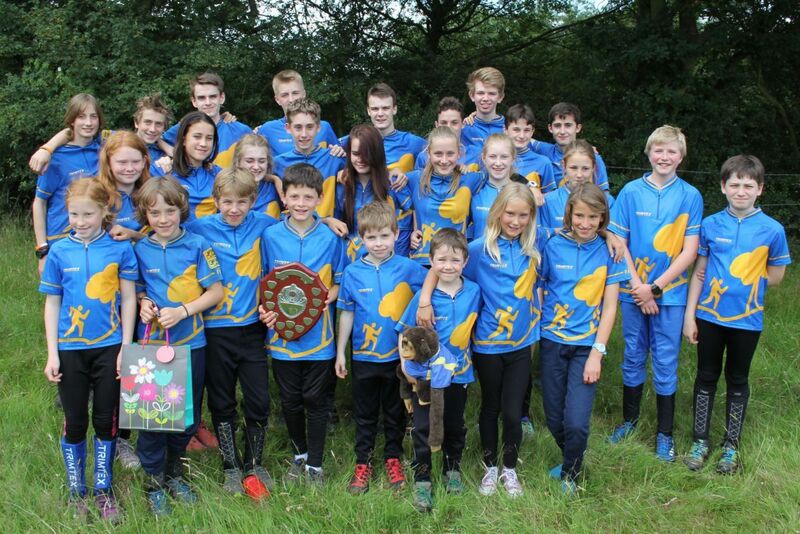 Our best result was in 2016 when we were narrowly beaten into 2nd place by Bristol Orienteers. An annual club competition, but one where juniors and seniors compete together for the CSC trophy. The club has to qualify for the final by winning the SE regional qualification round, usually held in early spring. The final is held in the autumn. There is always a great club atmosphere at these large multi-day festivals. Everyone gathers at the club tent to go over maps and cheer friends over the finish line. There's often a club relay with opportunities for juniors of all abilities to compete for SO. The Northern Champs, the Southern Champs.... Juniors can run in any of these events and it really is a great experience and very exciting to be part of a big national competition with loads of other juniors. 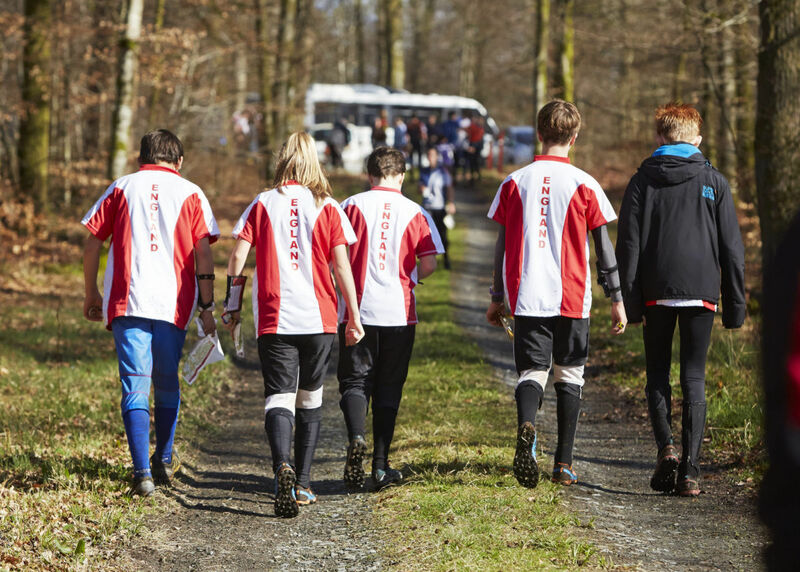 There is always a course to suit your level of ability no matter how long you've been orienteering, as well as the championship courses for those that want the extra challenge. On an international level there are exciting opportunities to represent England and even Great Britain in a variety of junior competitions. More information can be found on the England Orienteering and British Orienteering websites. Every year juniors M/W14+ have an opportunity to be selected for training camps and international competitions. Do you fancy going to an orienteering camp next summer? Or perhaps you'd like to represent England at the next Junior Home International! Selection races are usually the big regional or national events. They're great fun and a fantastic experience for all juniors of any age and ability. Even if you're just starting out or not yet M/W14 it's a great chance to run in different terrain and catch up with friends and juniors from all over the country! There are 4 summer training camps run by JROS: Lagganlia (M/W14), Deeside (M/W16), Stockholm (M/W17) and Gothenburg (M/W20). There are 2 annual England competitions for M/W14-18: Interland (England, France, Belgium, Netherlands) and the Junior Home International (England, Ireland, Scotland, Wales). There are 3 annual GB competitions: European Youth Orienteering Championships (M/W16-18), Junior European Championships (M/W18-20) and the Junior World Orienteering Championships (M/W20). The selection criteria is different for each camp and competition eg: best 3 of 6 races for the Deeside camp, so you can choose which races to go to. Make sure you check out the links above for the specifics or contact our Junior Development Officer Will Heap or Head Coach Rob Lines if you have any questions. They can also help you with online entries, point you in the right direction for lifts and let you know which other SO juniors are going. In the meantime keep practising at our local SO events and keep going to our free monthly coaching sessions to pick up tips and advice on how to improve. And then one day...... who knows!